Jaxie dreads going home. His mum’s dead. The old man bashes him without mercy, and he wishes he was an orphan. And then, in one terrible moment, his life is stripped to little more than what he can carry and how he can keep himself alive. There’s just one person left in the world who understands him and what he still dares to hope for. But to reach her he’ll have to cross the vast saltlands on a trek that only a dreamer or a fugitive would attempt. Captivating story. 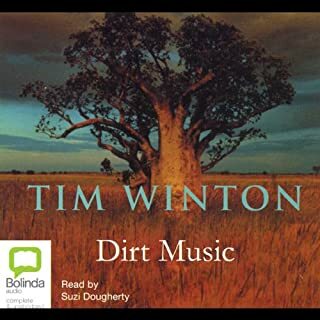 So beautifully written, Tim Winton. 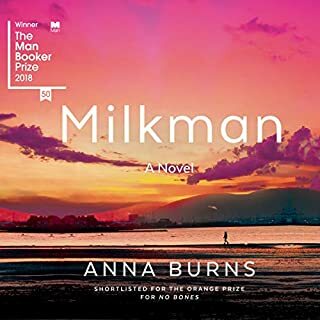 Narration by Kate Mulvany inspired casting , so good I listened to it in one sitting. This book will probably win a stack of literary prizes, but don’t let that put you off. The story, the land, the kid’s voice, the woman reading it are tight and true. You’ll find long detours and extra jobs just to keep listening. 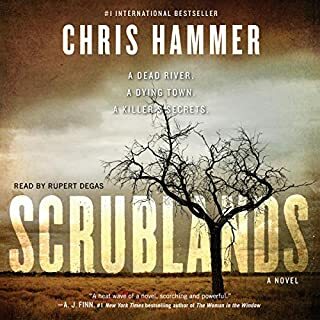 Wonderful story, evocative descriptions of country and men, two extraordinary characterisations. Tough journey but ultimately so redemptive. 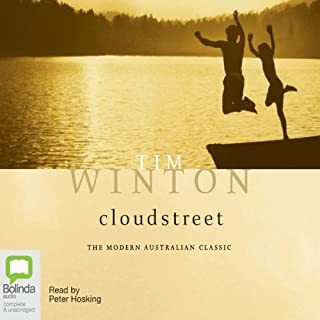 Highlight was the perfect choice of narrator; Kate brought the story alive with exquisite rendering of our main protagonists: best of any Audible book so far. .
Tim Winton doesn't wimp out on dark detail. And every boy needs an old man who's fucked up some to teach him about forgiveness. Winton has turned Ocker Aussie into poetry in this exploration of masculinity. A wonderful listen. Not sure which was better; Winton's story and writing, or the stunning performance by Kate Mulvany. Both are brilliant! Very gritty story. Written in the first person the language is a rough vernacular. Some people may not like the frequent use of the f*** word. However it is a story about a very tough young male. It took me a while to get used to having a female voice narrate for a young teenage character, but Kate was excellent. After I settled into the style I couldn't put the book down. The depth in the writing is awesome. 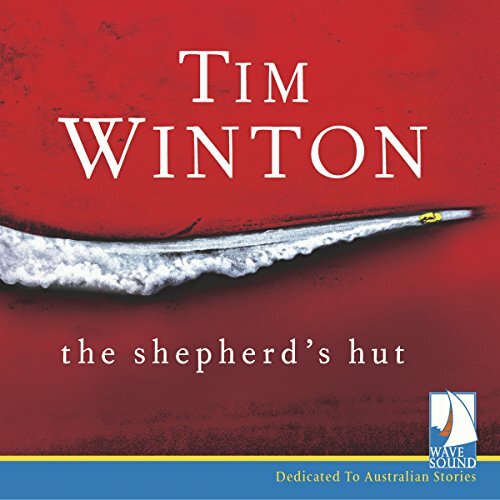 Tim Winton at the top of his game. 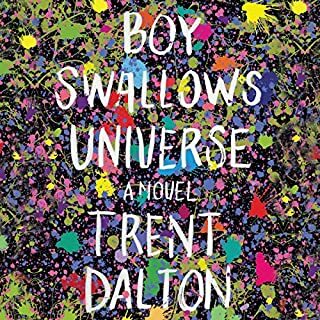 Don't miss this utterly absorbing, captivating read. A true study in the mastery of 'voice'. Themes of masculinity in our culture that are just so important to acknowledge and explore. Terrific Aussie tale. Gripping storyline and grittily authentic characters. Kate was totally convincing shifting between abused teenager or banished Irish priest. What made the experience of listening to The Shepherd's Hut the most enjoyable? 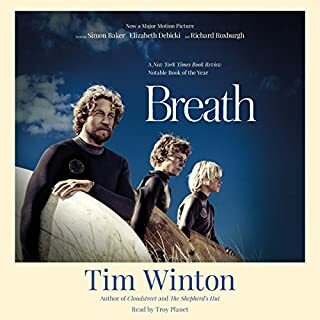 I love Time Winton's style... his images are so rooted in the experiences of his characters and their words ring so true to them. What does Kate Mulvany bring to the story that you wouldn’t experience if you had only read the book?